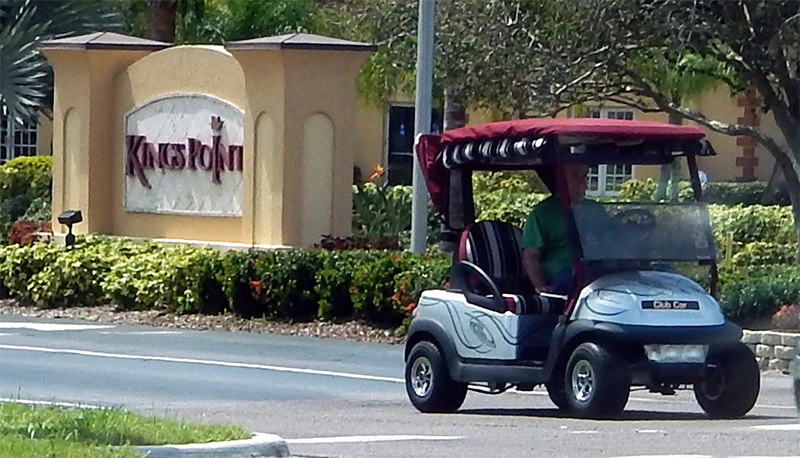 Residents in the gated Kings Point retirement community in Sun City Center can now drive their golf carts at night due to the neighborhood being ‘privately’ owned. This new privilege is for King Point only, so residents need to make sure and stay inside the gates once the Sun goes down – this includes not driving on the path to Sun Towers & Winn-Dixie as well. 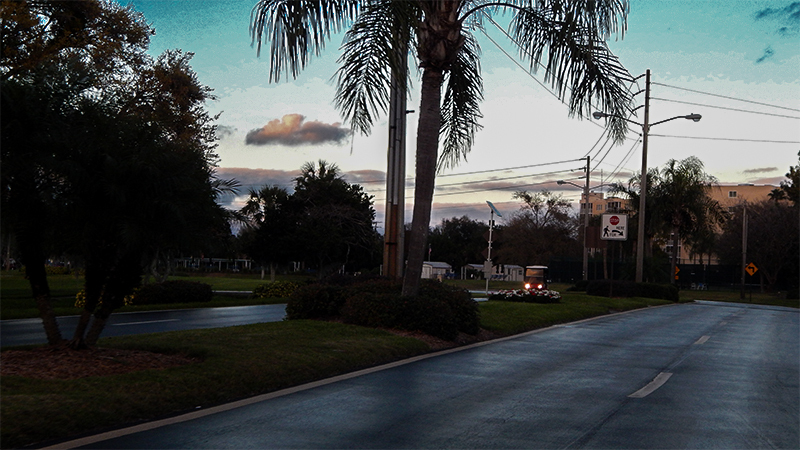 Kings Point is a privately owned gated community with around 5,560 units tucked way in Sun City Center, Florida. It’s a city within a city with it’s own restaurants, cafes, bars, six concrete pools, three golf courses and two main club houses with gyms, clubs, parties and much more. This announcement was made by a Deputy from the Hillsborough County Sheriffs Department during a Kings Point Federation Board Meeting in December 2014. To legally operate at night, your golf cart must have working lights and turn signals on both front and back. 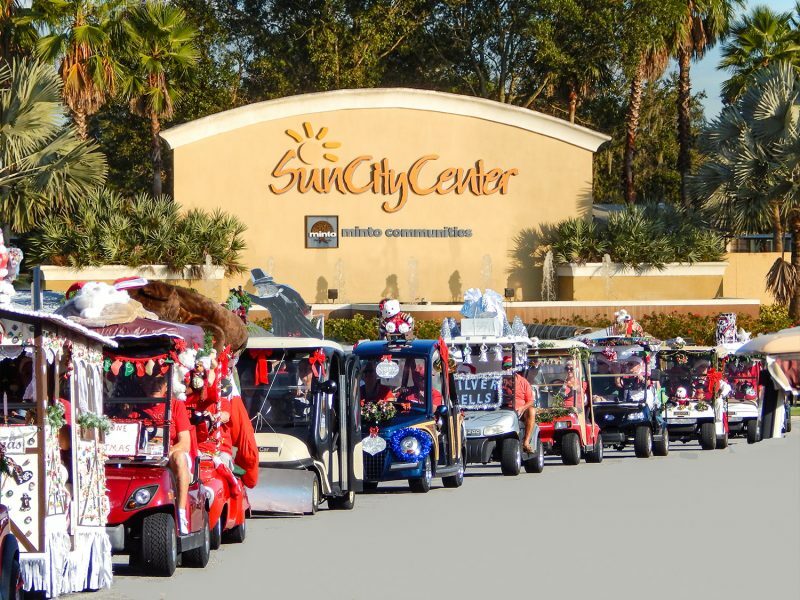 Remember, golf carts must obey all traffic laws as licensed vehicles (cars, trucks etc..) and are subject to the same citations. Special thanks to Deputy Jason Castillo and the Hillsborough County Sheriff’s Office for making this possible in Kings Point.